Back in the late 1800's, the wonder plant of the century was brought to the United States from Asia. This non-native plant promised to be the answer to erosion control, preventing the slow washing away of the precious soil necessary to produce abundant crops. 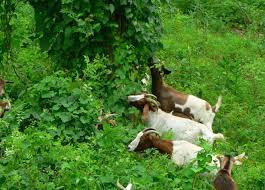 AND--it provided low cost but protein rich fodder for the livestock which was a large part of the economy at the time. And the added bonus---it was a beautiful shade producing ornamental plant. FINALLY the easy way to kill three birds with one stone---erosion control, fodder, and shade. Man had imported the inexpensive answer and paid to have it planted extensively in the more temperate parts of the country. With a change in the economy, caused by the increase of the machine age, farmers abandoned their farms and moved to the city. And the miracle plant was left untended. 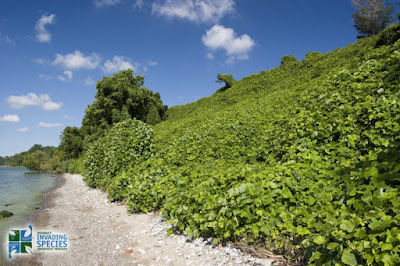 Fast forward to the next century, the fast growing-sun seeking-highly invasive vine -has taken over entire forests and effectively killed everything in its path by blocking the sun light. What man had thought was the miracle answer has turned into the choke hold of death. It is releasing gases which are destroying the very environment which we thought it would save. And THERE we have the story of sin- as we allow sin to slowly invade our lives with the promise of more and better. We see it in the beginning as a helper---an easy way to success---a thing of great beauty. As it begins to invade our life, it quickly becomes the invasive killer of all the really beautiful in our life. It takes a death grip on our souls and begins to slowly cover the Son light from coming in. Left untended it will lead to our death and demise. The only answer is to let the Master Gardener strip all the vine away-yanking it out complete with roots and restore the life giving Son light and the redemption of our beautiful garden will then be complete. I need some clarification here, Lulu. By vine, do you mean the plant that makes grapes? Or do you mean what we call ivy in the UK. I have tried growing vines for years and all I get is leaves. Which is useful for stuffed vine leaves if you like this sort of thing; but no grapes. Ivy on the other hand seems to grow all over the place and I have a struggle trying to get rid of it. It climbs up walls and can cover a whole house if you let it. And then you say that thes plants create 4.8 metric tons of carbon annually. That is not much Lulu. Have we missed a few more 0000s in the calculations? Is it 4.8 million tons? I'm all confused now. Can you have a metric ton? Metric is a measurement of length and cubic capacity. Tons is a measurement of weight. How does metric ton works? As for sin. I agree it is invasive and can take over one's life. But I have never heard of sin releasing carbon in the atmosphere. How does that work? 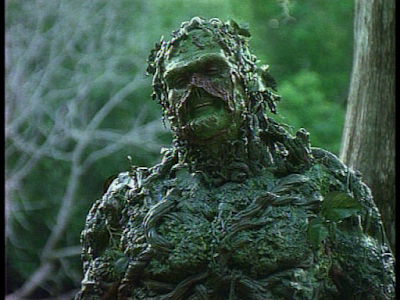 Is it more or less carbon than the vine? You make a good point about sin, Lulu; as indeed you always do with your articles here. That's why I, and others, come back often to read what you have to say. But from now on I'll be careful of what kind of sin I commit in case the carbon released affects global warming. NOW I'm confused, Victor! What was the subject?? As always you leave me laughing! I agree with him, Lulu...what you write and being truthful is what brings us back to read and comment. Have a lovely day, friend. If I'm anything/-in brutally honest ! Blessings , Sweet Friend! The title could also be, i.e. There is no quick fix. And you're right there! 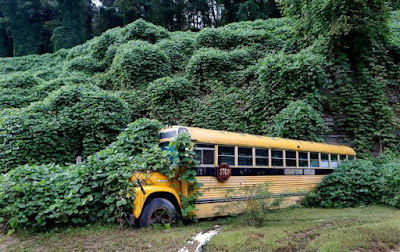 I'd not associated kudzu akin to sin but it sure fits because kudzu is a curse too. One saving grace about all this cold weather is it kills off that menace. The love of Jesus Christ can kill the sin if we allow Him. Excellent analogy as always. Tomorrows post will amaze you- great minds! And tomorrow's was written yesterday- keep that in mind when you read it! Good one, Loralu! 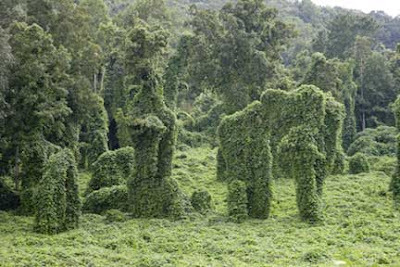 Kudzu as sin...reminds me of the nutria story I heard--brought to Louisiana to be raised for their fur, and then a hurricane freed 'em from their cages and released 'em into the swamps. Big old ugly rats--maybe we could get them to eat the kudzu? Laughing Len! All three are pesky pests! Hi Lulu! I had no idea that kudzu was so toxic. And I suppose that's a good metaphor for sin too. We rarely understand how devastating it can be to our lives. And not only our own! 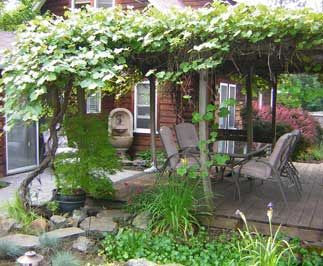 The pics you see are exactly what we see here in the south-- a beautiful but life choking vine! A great analogy about how sin can take over our lives without us even realizing. Or if we do, we make excuses like how lovely it is and how good it is for us and what harm can it do? Victor's response, as usual, was hilarious and maybe a little truthful. love you this rainy morning er day!!! Just one little compromise which turns in to a life changer! Yes- we all love Victor! I heard a sermon on John 15:1 where Jesus says I am the true vine. The preacher said this means there are false vines. Kudzu a great metaphor for false vines and the fruit they bear. Thanks. 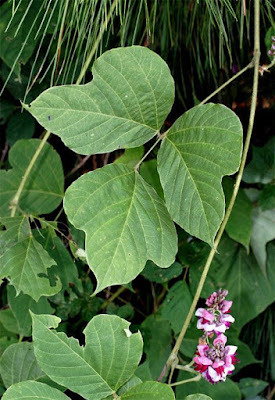 And how many other false vines do we see in nature--so invasive they will prove destructive if not kept in check. I would say I am not sure how this popped in my head--but I think we both know how that happened.